You know your gym shoe logo looks like a sperm? I saw this shoe in the SkyMall shopping magazine. 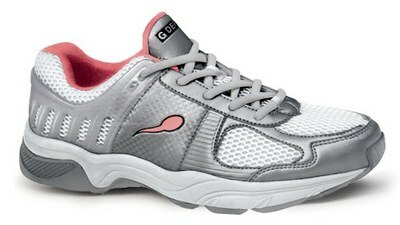 It’s the Gravity Defyer Athletic Shoe with built in springs in the back. I was curious and called the company’s 800 number to ask exactly what their logo was. The woman I spoke to said that she’s asked that all the time and they call it a tear drop. That’s the worst looking tear drop, I’ve ever seen. Just picked up an Entertainment 2010 Coupon book that my orchestra, the Cincinnati Community Orchestra is selling as a fundraiser. If you dine out at all, it’s definitely worth the cost. Especially if you like Indian restaurants like I do. It seems that every Indian restaurant in Cincinnati is in there- Ambar, Baba, Apna, Amol, and quite a few more more are all in there with a buy one entree, get one free. There are other restaurants like Teller’s, Nicola’s, and Aqua that I’ll definitely use. 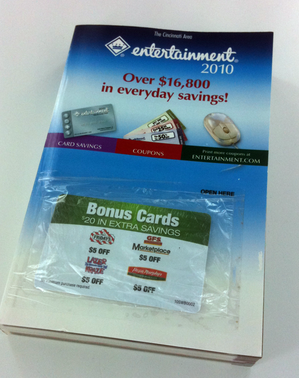 The book also contains coupons for fast food, dry cleaning, events, and merchandise. I’ll be keeping a running log of the coupons that I use below. My girlfriend and I dine out a bit anyways, so it’ll be interesting to see (at least for me) how much I use it. If you buy the book from the link below, and use the Group ID 423630, the cost will be $20 + $5.00 shipping which is a $10 dollar discount over the normal $35.00 retail price. Plus the Cincinnati Community Orchestra will benefit from each sale to help pay for music rentals, etc. Nicola’s– $20 off an entree. Nicola’s is pricey but very good. $20 off pretty much takes care of the tip on a dinner for two. Yeah, Nicola’s not the best example of saving money, but since I was planning on going some time, it’s better to have a discount than not. It was three years ago Monday that the International Astronomical Union demoted Pluto from a planet to a dwarf planet, a decision that made jaws drop around the world. I always wondered what a state legislature does. As to Pluto, I agree with the downgrading of Pluto. There are seven moons that are larger than Pluto, plus quite a few trans-Neptunian objects that are similar sized. Either all those are planets or Pluto’s not a planet. However, that doesn’t make Pluto any less interesting. Pluto’s moon Charon is so large in comparison, that Charon doesn’t rotate around Pluto, but a point inbetween. H.P.’s printing group has long been one of the company’s star performers. It accounts for nearly a quarter of overall revenue. Printer ink remains one of the most expensive liquids on the planet — more valuable than expensive perfumes — providing H.P. with far higher profit margins than PCs and other types of computing hardware provide. You know printer cartridges are expensive, but this is an interesting way to think about how costly the ink is. 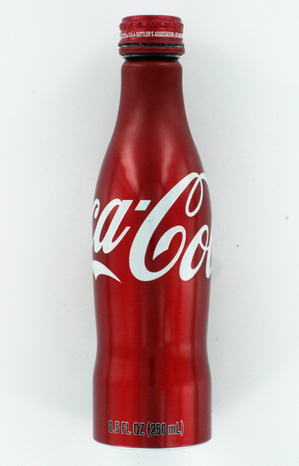 I think the aluminum bottle works well for Coke capturing the iconic Coke Bottle that you lose in can form. I picked this up in California, but I haven’t seen one around here. My parents started composting by throwing all vegetable and fruit scraps in a pile in their gigantic vegetable garden. Every once in a while a seed from fruit will sprout. 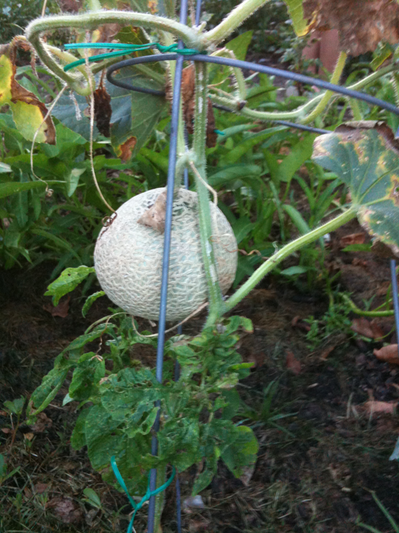 My dad’s got a his first little cantaloupe growing! What the Frak? Another Battlestar Galactica reboot for the big screen? Bryan Singer is finally heading to space. Almost a decade after he dropped out of a planned “Battlestar Galactica” TV project in the wake of the Sept. 11 attacks, The “X-Men” director is jumping on board a movie version of the sci-fi series, Variety reported. It sounds like another reboot to me. They just finished the series and now they’re rebooting it again? You don’t bring in Bryan Singer in to tell the same story the Ronald D. Moore just did. I think they’re going to go back to the original series and retell it with lots of evil robotic cylons and space battles with very little depth that you get in a movie versus four years of a television series. I have no doubt it could be entertaining, but I think a remake this soon pretty much craps on the series that just completed. “I can see where guys like Hank Aaron and some of the old-timers have a beef with it,” Arroyo says. “But as far as looking at Manny Ramirez like he’s (serial killer) Ted Bundy, you’re out of your mind. At the end of the day, you think anybody really (cares) whether Manny Ramirez’s kidneys fail and he dies at 50? A fascinating interview with Cincinnati Reds pitcher Bronson Arroyo about supplement and drug usage in MLB. As a side note, why didn’t the Cincinnati Enquirer get the interview for this story? USA Today and Cincinnati Enquirer are both published by Gannett, but you would have thought that the Enquirer would have wanted this interview. Fascinating look into the development of video game The Beatles: Rock Band .